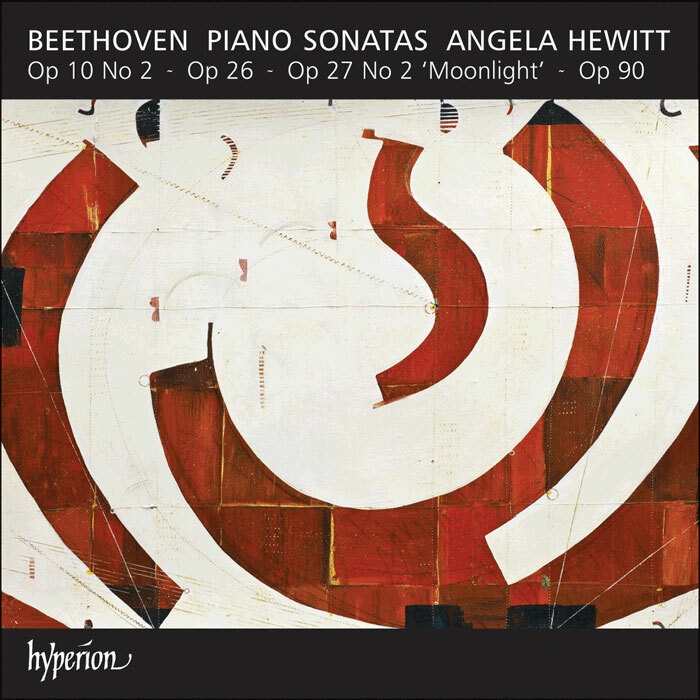 Angela Hewitt’s legion of fans will be delighted at this third volume of Beethoven sonatas. Her first two releases in this series were praised for their ‘clarity, intelligence and elegance’ … ‘fusing poetry and passion’, and all these trademark qualities of her playing are fully present in this third disc. The recording comprises four works from three different periods of the composer’s life, including one very famous sonata (the ‘Moonlight’) with others that are less often heard. The Op. 26 Sonata contains a funeral march; the Op. 10 No. 2 is a concise masterpiece of humour in music; the two movements of Op. 90 are said to be depictions of speech and song, with the second of the two sounding a lot like Schubert.